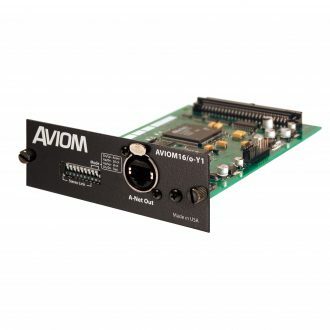 The 10-port Aviom MH10f supports bidirectional parallel Pro64 connections with eight ports with EtherCon Cat-5 connections and two with integrated fiber optic connectivity. 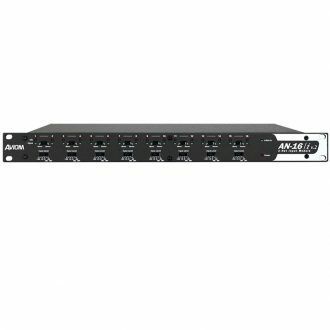 In a digital snake application, place an MH10f in each rack at stage and FOH and connect the snake with a single Cat-5e cable. 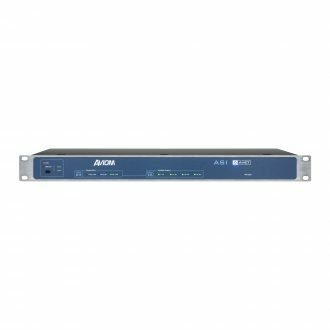 For applications requiring cable runs in excess of 400ft/120m the built-in fiber ports allow the user to add single-mode or multi-mode SFP transceivers to connect Pro64 devices thousands of feet apart using fiber optic cabling. The Aviom MH10f Merger Hub is similar to the familiar Ethernet switch, but with features and performance designed specifically for use in real-time streaming audio applications. 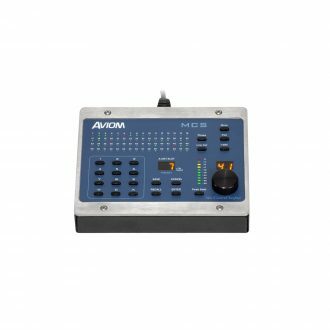 The MH10f provides a way to build a Pro64 digital snake or audio network with parallel connections without sacrificing the ability to distribute signals bi-directionally throughout an installation. The MH10f Merger Hub features the same basic functionality as the MH10 Merger Hub, but replaces ports 9 and 10 with 100 Mbps Fast Ethernet SFP slots which can be outfitted with either single- or multi-mode SFP fiber optic transceivers (available separately; no SFP modules ship with the product ). The MH10f can be combined in a Pro64 network with MH10 Merger Hubs as needed. 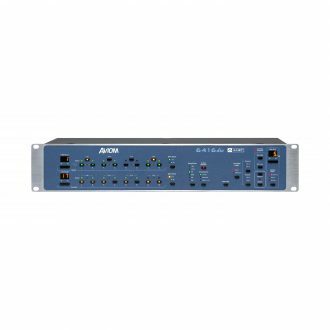 The Aviom MH10f Merger Hub merges the inputs from all ten ports, ensuring that all 64 active channels in the network are distributed back out all ten ports, regardless of the physical location of those inputs. 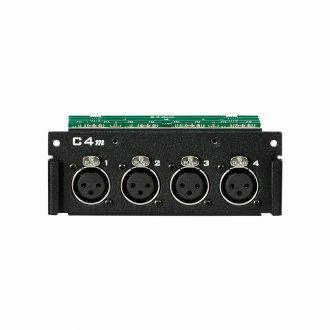 Those 64 channels can be physically located off any combination of the ten ports, even if they go through multiple MH10 or MH10f hubs. For larger networks, multiple MH10 and or MH10f Merger Hubs can be included in a single system without loss of performance. 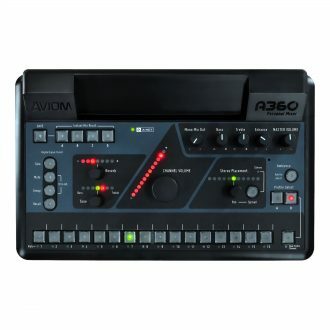 The MH10f features the security of a rear-panel four-pin XLR connector for optional backup DC power. 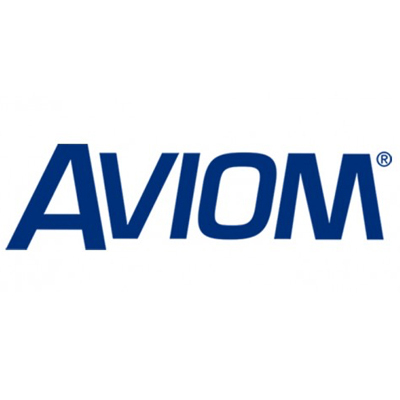 Single-mode or multi-mode fiber transceivers can be installed in the Aviom MH10f Merger Hub, depending on the needs of the application or the type of fiber cabling available. The fiber transceivers and fiber cable type (single/multi) must match in order to properly communicate.